The Adobe Creative Cloud is quite a handy app that will install the Creative Cloud App on your Mac. Aside from that, it can also help install many more other Adobe Photoshop, Illustrator and much more. Among the things, you can also take care of using the Creative Cloud App is your subscription to Creative Cloud. 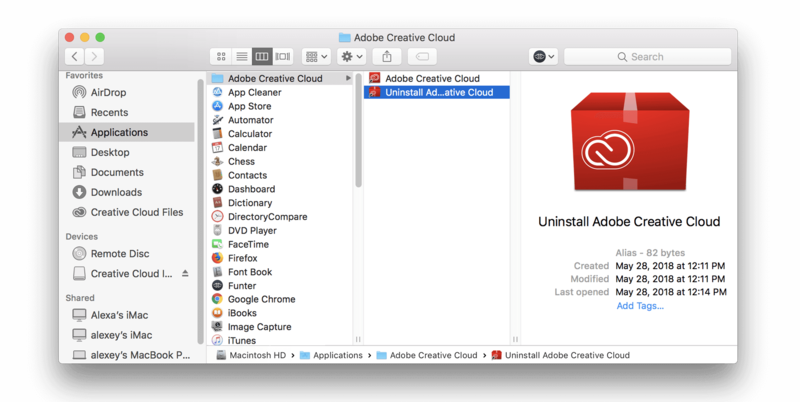 Assuming that has lapsed and you won’t want to renew or start all over again, it might be best to take some steps to uninstall Creative Cloud on Mac. As mentioned earlier, if your subscription has lapsed and you have no plans to renew it, there doesn’t seem to be much point in keeping Creative Cloud on your Mac. Keeping it in the background is fine, but it could be taking up a lot of memory space, especially if you installed other apps and programs using Creative Cloud. Another thing to consider is that even if they are not being used, Creative Cloud could be updated in the background taking up some much-needed processing space, which you definitely do not want happening. There are a number of steps to uninstall Creative Cloud on Mac, but if you don’t want to be bothered and want to go about the most effective method then we strongly suggest using PowerMyMac to answer your uninstalling needs. Step 1: Download and install PowerMyMac - Go to the website and download PowerMyMac, depending on your internet speed, this shouldn’t take too long overall. After downloading the DMG file for Mac, please follow the installation process in order to move forward to the next step. Step 2: Open PowerMyMac - When you are done installing, please open PowerMyMac. 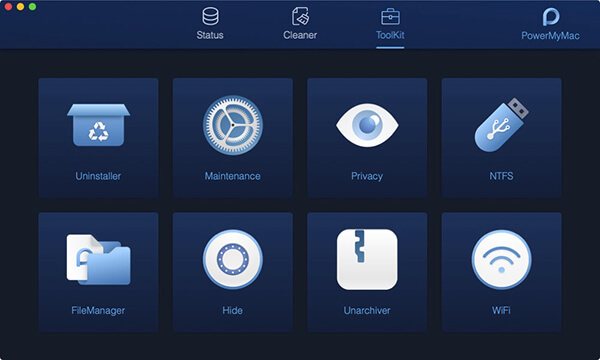 You will immediately get an overview of your Mac’s current health. This is a good thing to note especially if you have plans of using your Mac for a long time. Choose from the three options above, you will want to concentrate on Toolkit at this moment, however, it’s always good to note the other tools available to you for future use. Step 3: Choosing the Uninstaller - After clicking on the Toolkit, you will be brought to a new window with more options. There are a lot of interesting tools available to you for future use as well, for now, however, choose the Uninstaller. Step 4: Allow the scan - PowerMyMac will ask for permission to scan through your programs and apps, please allow it in order to proceed. Depending on the amount of data PowerMyMac needs to scan through, this process may take some time. Kindly be patient and wait for the process to finish, do not interrupt it by shutting down the program or your Mac. Step 5: Pick Creative Cloud - After the scanning is finished, please find Creative Cloud among the list. Select it and move on to the next step. Step 6: Ticking the right boxes - When you choose Creative Cloud, you will see all the programs and other items that are within the Creative Cloud. You can pick and choose what you want to remove, however, it is suggested to tick everything or select all so that you can successfully uninstall Creative Cloud from your Mac. Step 7: Confirm uninstalling process - For the last step, when you’ve selected the files to be uninstalled, PowerMyMac will ask you to confirm the uninstalling before proceeding, simply confirm it and you are done with Creative Cloud. When you’ve finished all of those steps, you can be confident in knowing that Creative Cloud is no longer anywhere on your Mac. Step 1: Uninstalling all other apps with Creative Cloud - You won’t be able to uninstall Creative Cloud when there are other programs still using it. So open up your Creative Cloud and you can uninstall all the programs you installed from there before moving forward. Step 2: Quit the program - Make sure that you are not using Creative Cloud, you can open up your Utilities and find the Activity Monitor, find Creative Cloud and quit it. Or if you have Creative Cloud open, select the Quit option instead of just simply pressing X to close it. 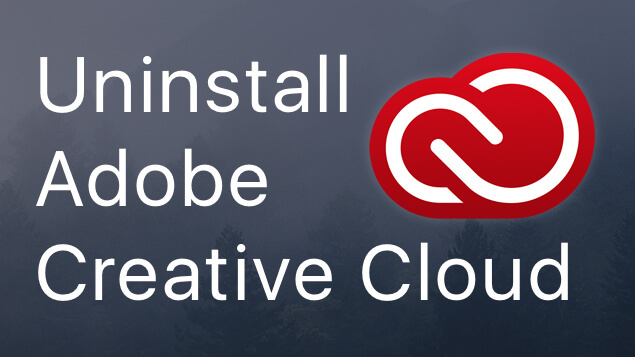 Step 3: Use the Uninstall program - When that is done, find the Uninstall Adobe Creative Cloud from within your applications, it will likely be with the Creative Cloud folder. Step 4: Complete the process - Follow the process accordingly and you should end up uninstalling Creative Cloud. This may take some time depending on the number of programs you installed using Creative Cloud. And unfortunately, you will have to manually find the temporary files that are still somewhere on your Mac and delete them one by one. As you can see, while there are fewer steps than using a PowerMyMac, there’s quite a bit of work to put in and if you are not too used to a Mac, it might not be the most ideal option for you. Creative Cloud is quite useful, but if you really want to free up your Mac, you have a few options available to you. When you’ve read through this how to uninstall Creative Cloud on Mac, you can decide which option best speaks to you, what matters most is the option you choose best suits your needs.